Andrew J. Babyak Jr was born on October 12 1946 in Youngstown, Ohio. He was a member of St Dominic's Parish and attended Cardinal Mooney High School wher he graduated in 1964.Andrew was drafted and rose to the rank of Specialist 4th Class. Andrew was unmarried. 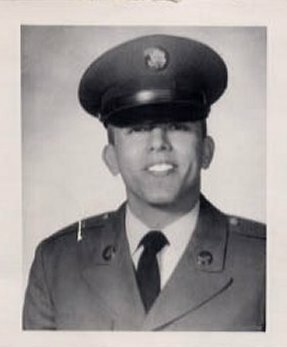 His tour in Vietnam started on January 2, 1968 and was assigned to the 526th CC&S Co.He was killed in action on April 9, 1968 when his company was attacked by enemy sappers.He was in-country 99 days, Andrew was 21. Andrew John Babyak was laid to rest in Calvary Cemetery in Youngstown, Ohio.